Gino and Cathy Riccio have been an integral part of the Fairfield County restaurant scene for the past three decades, but their newest venture – an organic plant-based eatery – is uncharted territory for the couple. 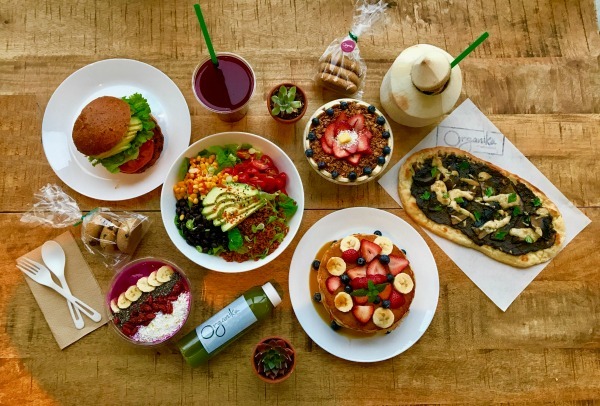 While many alleged healthy eateries have been popping up all over the place, Organika Kitchen takes the idea of healthy eating to a new level. I recently sat down the Riccios to learn about the inspiration behind their latest endeavor. Organika’s mission is to source food that is unmodified, GMO and pesticide-free. During the summer months they buy locally but off-season their produce hails mainly from California. (South American countries, such as Chile and Mexico, use heavy amounts of pesticides.) The restaurant’s plant-based philosophy isn’t a new one but Cathy pointed that being vegan doesn’t always equate with healthy. While people may be cutting out meat they’re often filling that void with pastas and breads. Furthermore, many store-bought vegan products are loaded with sugars and additives. Wanting to take charge of her own health Cathy told me “that [opening Organika] would be a great project for us – to be surrounded by vegetables, nutrient rich, live food – and for us to introduce a way for people to eat healthy on the go. People know how to eat healthy,” she continued. “But finding those healthy items you can have on the go becomes challenging. We thought this would not only help our own family but the community.” She believes that everyone can follow a vegan diet a few days a week. By cutting out animal byproducts, items grown with pesticides and food that has not been genetically altered or enhanced with artificial ingredients, we all feel better and our health automatically improves. This new way of eating and preparing food required some learning and research. “I’ve been in the restaurant business for 30 years and I had to learn how to modify the menu which took about six months,” Gino explained. “In order to create a meatball, it has to taste like a meatball. We know that sauces enhance food and that the flavors of the sauces can trick your brain into thinking it is eating something that it’s not.” He continued, “Our vegan gyro is made with tzatziki sauce and the brain recognizes this flavor. People then realize that they can eat and enjoy these foods even if they’re not vegan.” Their greatest challenge initially was to offer food in plant form that would appeal to customers with flavors they craved while creating a menu that offered more than just salads. “This is a new formula for us and we really had no idea what to expect,” Cathy admitted. 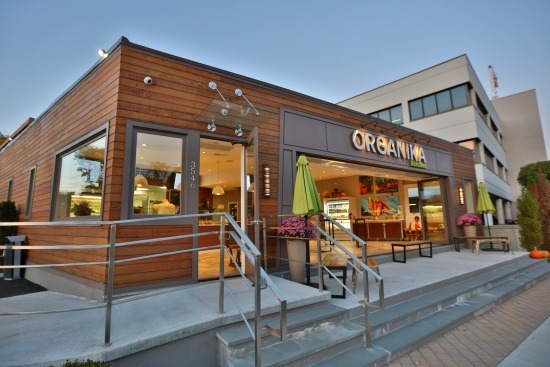 Organika now has a lot of non-vegan and non-vegetarian customers. 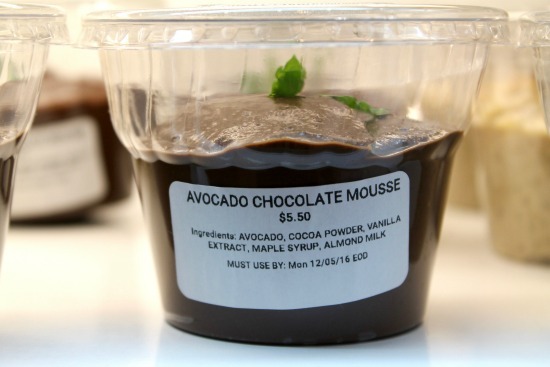 The high school and college kids love their smoothies, and while they’re there they are often compelled to try something else, as do most customers. 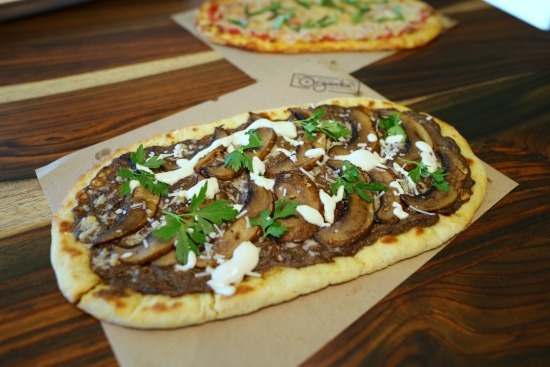 So what makes Organika stand apart from the other healthy fast foods? They are gluten-free, dairy-free (you will find items with vegan cheeses) organic and their foods no added sugar. Their dressings are all made in house to avoid sugar, dairy and soy which are found in so many prepared versions. They make their own almond milk. In lieu of eggs in recipes they substitute coconut milk and/or coconut oil. They are a peanut-free facility but not a nut-free one. They do not cross-contaminate, however. They use no dairy or animal by products whatsoever. Their produce is completely organic, GMO and pesticide-free. The Riccios hope that people will start to rethink their ways and return to nature. Food can make us all healthy but it can also do the reverse – it can be one of the worst addictions. They hope to help people take care of themselves and eat and feel better. My children and I have had the opportunity to try quite a few of their things from the Organika menu. When presented to the children I made no claim that the items they were eating were vegan, dairy or gluten-free. The pastas were a hit, as were the falafels and the veggie burritos. (I kept the rice pudding all to myself not wanting to share after the first bite!) My teenage daughter swears by their Berrylicious Smoothie. We are not vegetarians or vegans.